Orders ship from Texas, USA. Please allow 4-6 weeks for delivery. Add an RGB (VGA) input to any projector, TV, or monitor that only accepts a component (YPbPr) signal. The TC1600 converts a VGA (RGBHV) signal found on devices such as PCs to a component (YPbPr) signal required by many TVs and projectors. Designed by a home theater enthusiast, it is regarded by many as the best RGB to component transcoder available (regardless of price). The fact that it's one of the least expensive ones available is an added bonus. The TC1600 transcoder was developed to be flexible and to provide impeccable visual quality. It is one of the few transcoders that has a separate color conversion for different resolutions in order to provide optimum color fidelity for both standard and high definition (HD). Although the required conversions are nearly identical, the difference cannot be ignored when optimum quality is pursued. The TC1600 allows you to use RGB sources on TV's that only have component inputs. Corrects the "Left Shift" issue introduced on some displays. The TC1600's cable driver stage lets you use an analog output cable of any length with RGB sources. You no longer need to place the source near your TV. Perfect for those of you that already have a long component cables installed. Adjustable Gamma Boost: The TC1600 adds gamma adjustment to the signal for absolutely perfect shadow detail. 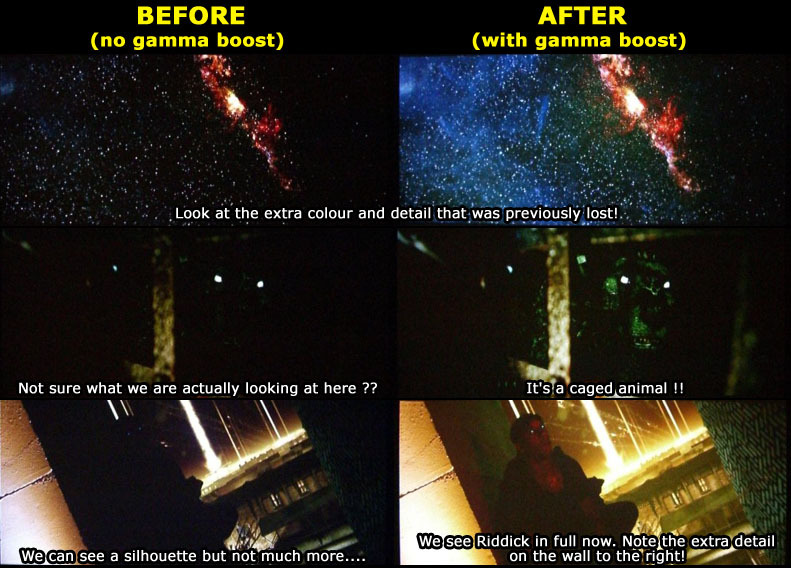 What does the adjustable gamma boost do? Want to learn more about Gamma Boost and why it matters? To find out why proper gamma is critical to image quality and movie reproduction, see our free Grayscale & Color Calibration for Dummies guide. Highly flexible VGA (RGBHV) to Component (YPbPr) transcoder. High-Bandwidth component output (up to 1080p/60). Automatically switches between SD and HD colour spaces. Adjustable gamma correction for absolutely perfect shadow detail. The gamma curve up to 30IRE can be adjusted in order to improve the low level linearity. Full control of all timing functions including a full screen picture shift that can be used to compensate for a left shift caused by some HDMI converters. Supports all video formats, resolutions and refresh rates, interlaced or progressive, including common resolutions such as 480p, 720p, 1080i, 1080p. Fully transparent with respect to timing and is therefore optimally suited to drive a variety of display devices. Drives longer cables of up to 50 feet (16m). High bandwidth (>130Mhz) signal processing. Component (YPbPr) output on three colour-coded RCA connectors. Vout = 1Vp-p when driving a standard 75 Ohm cable load. Includes external US power supply. Ideal for connecting a Home Theater PC (HTPC) to a TV/projector that only has component inputs. The gamma correction works directly on the RGB input and is identical to the correction on the RTC2200. The TC1600 will accept any combination of positive and negative horizontal and vertical sync at its input. The color conversion is correct for both SD and HD signals. The TC1600 measures the line frequency and switches to the SD color conversions for frequencies below 32.768KHz, this will catch 480i, 576i, 480p and 576p/50. At line frequencies above 32.768KHz it will switch to the HD color encoder so this will be for 720p, 1080i/60, 1080p and higher. As shipped the TC1600 will be in native mode meaning that the H-sync is passed through unchanged and only the V-sync can be changed in width. After opening the case and moving the jumper from JP1 to JP2 the H-sync can be fully adjusted in both width and position. The TC1600 supports both left and right shift using the H-coarse potmeter and a left shift only using the H-fine potmeter. The width of the H-sync is adjusted to 1us at shipping which should be Ok for almost any TV. The H-coarse delay is resolution independent, meaning that if you shifted the picture by 1 inch at 480p you will have the same 1 inch shift at 1080p or any other resolution. This is not the case for the H-fine shift so it is probably best to only use the coarse shift if possible.